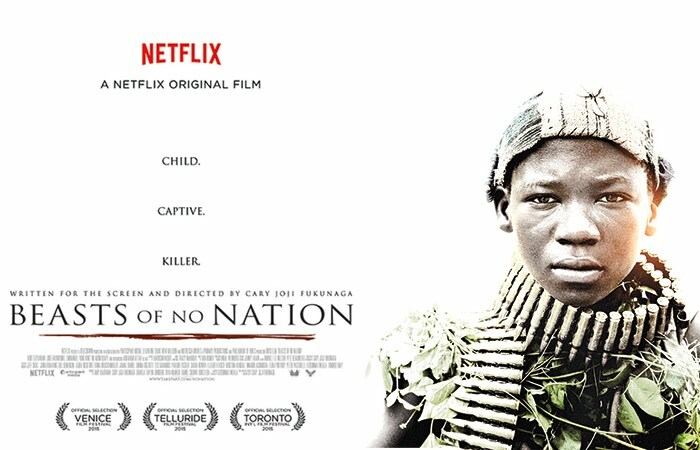 Released by Netflix last fall, Beasts of No Nation seemed like it would either be a revolutionary introduction to award-winning films funded by streaming sites or a quickly forgotten gem in the middle of a glut of Oscar-worthy movies opening around the same time. Unfortunately, we witnessed the latter. Still, Cary Fukunaga’s child soldier war drama was a stunning look at the destruction caused by an African civil war. Idris Elba fully inhabits the ruthless, yet charismatic, commander. He is entirely monstrous, but you can see how a lost child like Agu (played splendidly by unknown actor Abraham Attah) would be attracted to following someone like that. While Fukunaga, who directed the entire first season of True Detective, never shies away from the graphic nature of a brutally nihilist war, his film, although marvelously shot, ends as more of an unfocused exercise than the moving depiction of humanity that it tries to be. Taking a subject as depressing as the housing crisis and ensuing economic meltdown and morphing it into a madly entertaining and quite funny portrayal is one thing. Injecting all of this with an undercurrent of anger is another. Somehow, the writer-director of Anchorman, Talladega Nights, and Step Brothers was the man for the job. Adam McKay’s work with Will Ferrell is riotous and hysterical, but The Big Short is a different kind of humor. There’s real frustration bubbling under the skin of this movie. McKay treats his characters with the nuance they deserve — that is, he makes them both attractive and repellent. Steve Carell and Ryan Gosling perfectly encapsulate this idea, although it was Christian Bale that was recognized by the Academy. All in all, I wasn’t really into the visual style McKay employs (the jittery, quick-cutting, MTV feel isn’t usually my jam), but his choice to use gimmicks, like breaking the fourth wall and hauling in celebrities, to explain the financial mumbo-jumbo should be lauded. It reminds me, in some ways, of the triumph that was The Social Network, where an esoteric topic is explained in fun bits, all the while leaving you amazed at the accomplishment. What a lovely day, indeed. 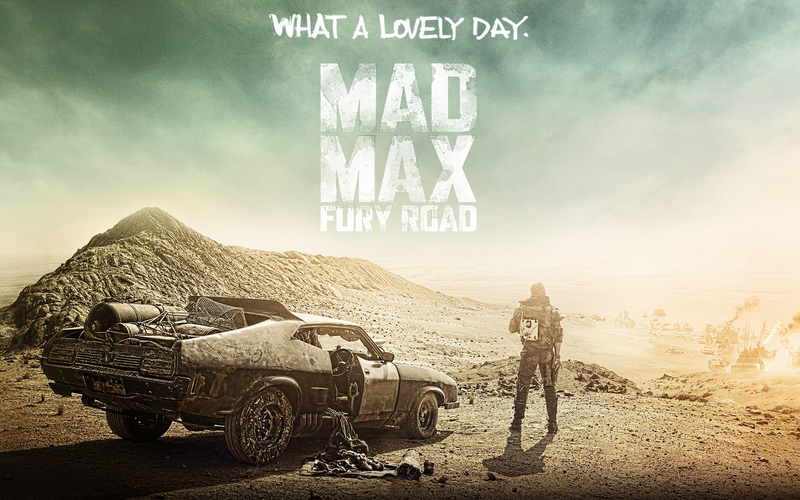 For at least the first half of Mad Max: Fury Road, I found myself thinking, “I have no idea what’s happening or who these people are, but this is insane fun.” Director George Miller tosses you into a desolate, water-starved, chaotic, murderous, post-apocalyptic hellscape and doesn’t bother to give you a lick of information. Dialogue is as scarce as green grass and compassion in this world. The severely limited background knowledge (particularly if you’ve never seen any Mad Max flicks) does hurt Fury Road in the early stages. And at the same time, it doesn’t really matter at all. You’re so fully immersed in this strange and intense (those are understatements, to say the least) world, that the level of viewing enjoyment is off the charts. I’ve never been so thrillingly, exhilaratingly confused by a movie. As we get some more context for Tom Hardy’s Max and Charlize Theron’s Furiosa, the tender humanity improbably starts to creep into such a battle-hardened backdrop. Speaking of those two, the casting of Hardy and Theron was so wonderfully fitting that I can’t think of anybody that would work better in those roles. Plus, I haven’t even mentioned Miller’s technical feat here. With mostly practical effects, this setting feels lived-in, despite the fact that almost the entire film is one long, frantic chase sequence through the bone-dry desert. More than a few shots almost cause you to audibly gasp at their magnificence. Despite the (deliberate) disarray we are shuttled into at the start, Mad Max is a towering, fiercely feminist, and remarkably weird action movie. The clash between homage and originality in The Force Awakens was what made it so fascinating to watch and endlessly discuss. Yes, it’s basically a full-on remake of the original Star Wars: A New Hope. The story beats hit all the same notes — the deja vu is strong with this one. However, how fun is it to see entirely fresh characters on the screen, especially when that opens the door to women and minorities to be the heroes? From their opening scenes, it became abundantly clear that Daisy Ridley and John Boyega were magnetic beyond their limited acting experience. Clearly, J.J. Abrams was the 100% right choice if you want to get a rusty Millennium Falcon franchise off the ground. Now, Abrams has still never made an all-time great film. His Star Trek and Super 8 came close, just as this one did, but for this trilogy to hit lightspeed, it will need someone with more prodigious talents. Like Rian Johnson. Needless to say, I’m on pins and needles awaiting the next chapter. The degree of difficulty here is crazy. Imagine sitting down at your laptop with the intention of writing a screenplay about our emotional lives, with all its abstract complexity and competing theories. Now imagine attempting to transfer this murky interiority to a movie screen. Both of those things seem impossible, and yet, Inside Out pulls them off with exuberance, grace, and feeling. Pixar has been making smart and fascinating animated films for the last 20+ years (coming up with a top 5 Pixar movies is way harder than you’d think), but this one may just be their most intelligent work to date. Still, it’s more than a brainy trip through the mind of an 11-year-old. It’s also surprisingly fun and hilariously clever. The casting is pitch perfect, with Amy Poehler, playing the voice (and concept) of Joy, as the lead and the others embodying Sadness, Fear, Disgust, and Anger with aplomb. 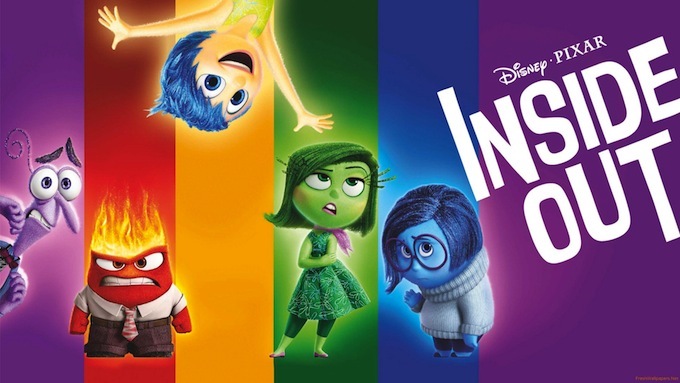 At the same time, Inside Out is not afraid to get all melancholy and dive headfirst into existential distress. The co-director, Pete Docter, is at least partly responsible for Pixar classics like Toy Story, Monsters Inc., and Up. Just like those, if you have a beating heart, Inside Out yanks unexpected emotions out of it like a rabbit from a hat. The magic it took to make this is astounding. A remarkable story (from Emma Donoghue, adapting her own book) that demanded two remarkable performances. As Ma and Jack, Brie Larson and Jacob Tremblay have all the necessary qualities to make Room work. (Future Oscar winner) Larson, who I knew only from 21 Jump Street, is stunningly believable as a young woman kidnapped and locked in a shed for 7 years. Tremblay makes Jack into a rambunctious, curious, and wide-eyed 5-year-old. The performances work together as a heartbreaking whole. Donoghue and director Lenny Abrahamson give you the story from Jack’s perspective, which makes the wonder of the world when they finally free themselves all the more affecting. There’s more than one scene in this movie that left me totally speechless. Abrahamson, Larson, and Tremblay are all worth watching in the future. It’s all about mood with director Denis Villeneuve. His last three films, Prisoners, Enemy, and this one, could be classified as thrillers, but function more as dark experiments in mood and atmosphere. All three are marvelous in their own way, but Sicario takes on a wider lens by dishing out hard truths about the drug war. The three leads, Emily Blunt, Josh Brolin, and Benicio del Toro, each serve a specific role in explaining why the war on drugs is so troublesome. In the end, Sicario feels a bit like outstanding acting and visuals in search of a better screenplay. The writing isn’t poor by any means, it just doesn’t seem up to snuff with the rest of the quality on screen: Villeneuve sets up a couple unforgettably show-stopping scenes; Blunt, in particular, delivers a powerfully vulnerable performance; and the shot of the special forces moving against a mesmerizing dusk backdrop, as the menacingly bleak soundtrack blares, was probably the most indelible movie moment of the year for me. I had sky-high expectations walking into this one, and remarkably, Sicario came oh-so-close to living up to them. Weirdly, The Revenant reminds me of watching Steph Curry right now — where it’s like, okay, anything this guy touches becomes gold… That’s how in the zone Alejandro Inarritu is at the moment. Birdman and The Revenant are masterful and original in an almost unmatched way. In the latter, he (and his visionary cinematographer Emmanuel Lubezki) has delivered a bleak tale of determination, revenge, and regret that is wholly spectacular. Another artist squarely in his prime is Leonardo DiCaprio. He’ll win his first Oscar for his portrayal of 19th century fur trapper Hugh Glass. It’s an unsurprisingly excellent performance, if not quite his very best, because it suits DiCaprio’s strengths as (secretly) a better physical performer than he is a verbal one. There’s not much for Glass to say as he crawls across the ruthless and weather-beaten terrain to achieve his vengeance, but all you need to watch is his eyes to read what’s happening. It’s a testament to DiCario’s dedication that Tom Hardy’s magnificent performance doesn’t upstage him. 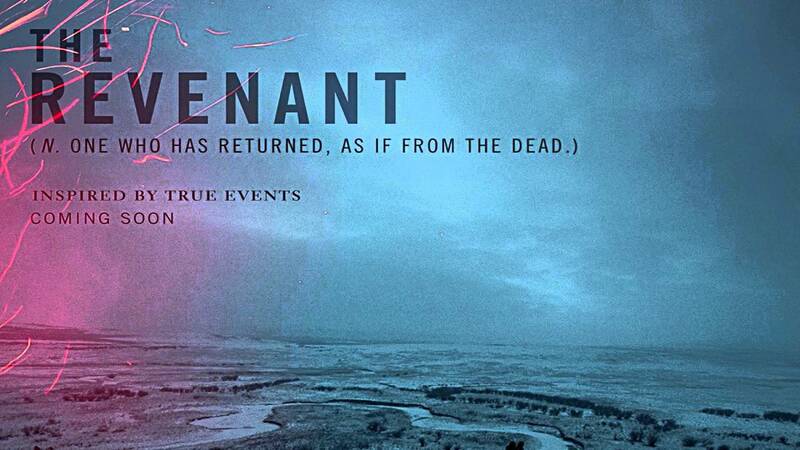 I was astounded by The Revenant at every turn. Although the end doesn’t quite live up to all that came before, there’s about five or six different scenes throughout that don’t seem possible, from the impeccably staged battle at the beginning to the infamous bear attack. It’s the depiction of nature’s beauty and brutality that makes this one so essential. Ex Machina is a swirling, mysterious mass of sci-fi suspense and intrigue. Most impressively, writer-director Alex Garland perfectly balances the intellectual with the suspenseful. Just when you think it’s getting too heady, there’s a sequence that leaves you breathless and blindsided. 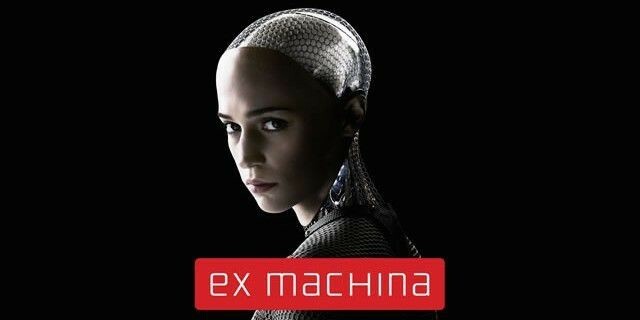 Just when you think it’s getting too pulpy, you realize Ex Machina has actual things to say about artificial intelligence and how humans should approach it. By the end, you’re frozen in your seat as the credits roll, trying in vain to sort out what you just watched. Needless to say, I was riveted from start to finish. Part of this was the sumptuous cinematography, which uses its aggressively modern setting to great effect. All the hard, clean lines of Nathan’s (Oscar Isaac, as a kind of eccentric pseudo-Google CEO) mountain-surrounded tech-bunker may leave some cold, but it was an undeniably gorgeous background for the futuristic terror taking place. Speaking of Isaac, he’s completely fascinating as one-third of the triumvirate of lead actors that also includes Domhnall Gleeson and Alicia Vikander (who both enjoyed breakout years). Every gear of Ex Machina just works brilliantly. Of any movie this year, this is the one I’m most excited about seeing another time. 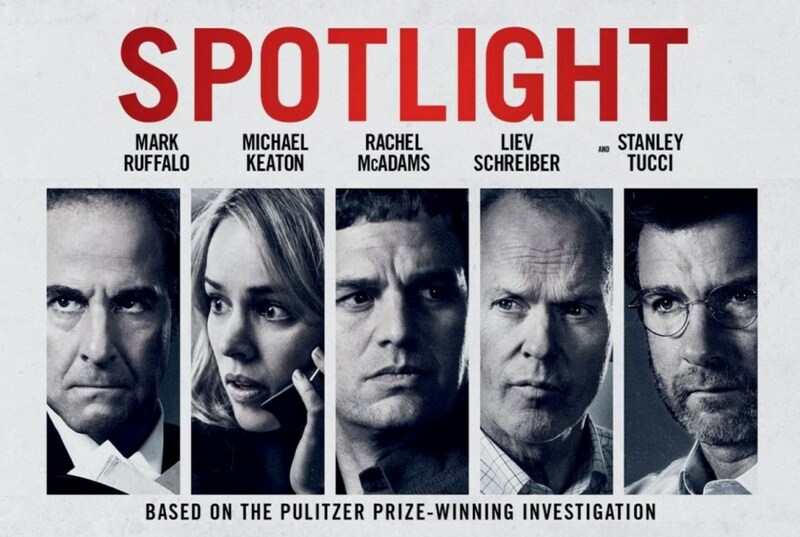 Off the top of my head, I can’t think of a film as powerful as Spotlight that’s also so totally bereft of visual flair. And I mean that as a compliment. The films that usually draw me in and don’t let go until they have left a profound impression are the ones with the mind-melting visual artistry. You know, Gravity, The Tree of Life, and Inception, to name a few recent ones. Spotlight is decidedly not like those. Spotlight is all pleated khakis, drop-ceiling lighting, and paper coffee cups. Director Tom McCarthy (Scott Templeton from The Wire!) knows that for the story to be the emotional gut punch it needs to be, the visual component has to be typically drab. For instance, and this sounds insane, but I think it would be a worse film if it were directed by David Fincher. Spotlight is also the film with the very best acting ensemble of the year. I still can’t decide who killed it the most between Mark Ruffalo, Michael Keaton, and Rachel McAdams. Behind them, Liev Schreiber, John Slattery (hey there, Roger Sterling! ), Billy Crudup, and Stanley Tucci all bring it with memorable performances. The moral complexity both in the script and in their performances is extraordinary. Like I said, Spotlight just won’t leave me alone, even though I saw it two full months ago. The horrifying progression from shock to anger to pity to despair this film takes us through was unparalleled in its effectiveness this year, despite The Big Short trying to do something similar. Spotlight‘s last image is simply an exhaustive list of cities stricken with accusations of sexual abuse by Catholic priests. I couldn’t think of a more flawless way to conclude what we just watched.